I’ve used coffee scrubs in the past, and since I’m a coffee junkie, I knew I would love this product. I was right! I absolutely adore how the coffee, vanilla, and peppermint oil blend together to make a fresh and delicious fragrance (honestly, I wouldn’t mind eating this). 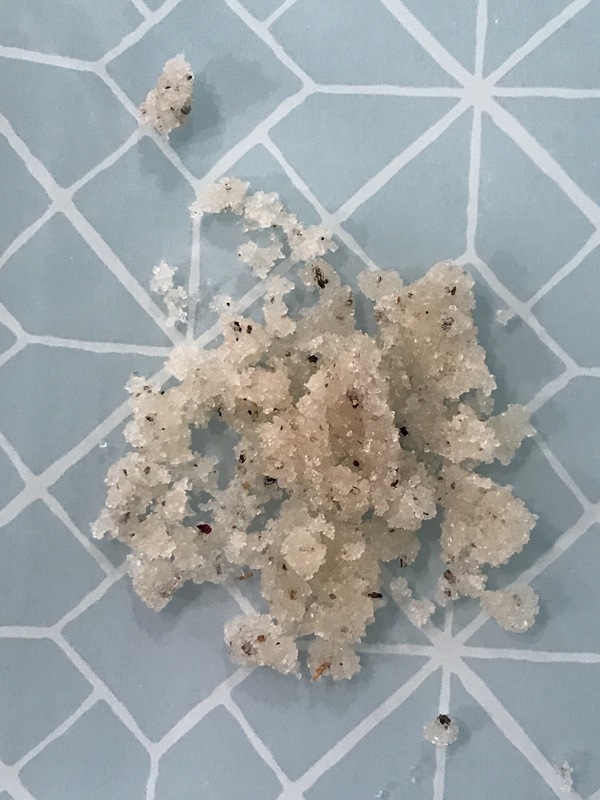 The sugar and coffee grounds make this a gritty and coarse body scrub, perfect for scrubbing away dry, dead skin cells and stimulating blood flow to the area. This scrub contains coconut oil so your skin is left feeling smooth, moisturized, and smelling fabulous! The AmaZenSpray is a nice, refreshing treat for tired and/or dry feet. 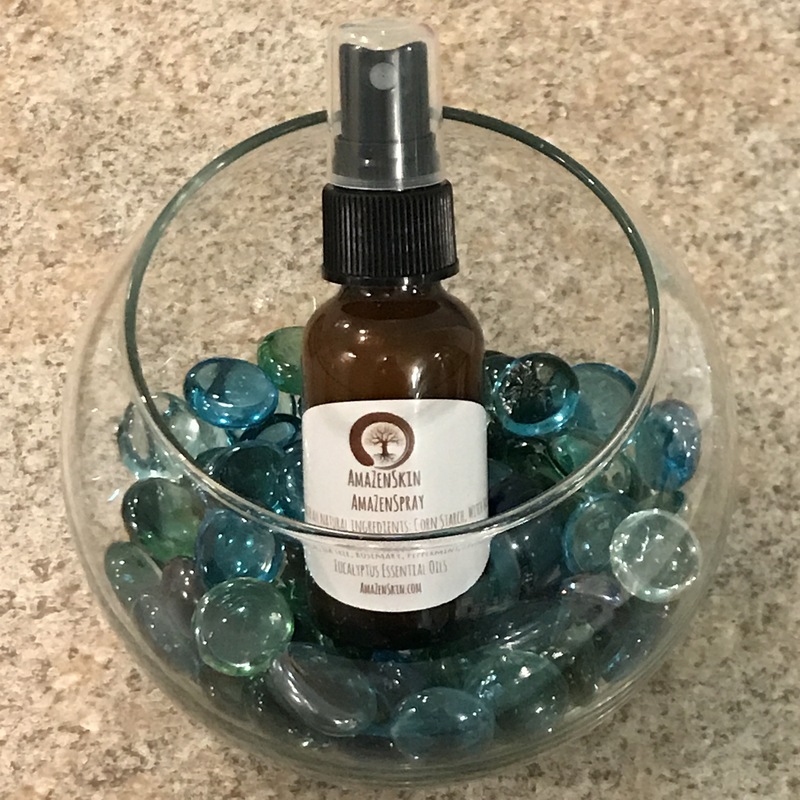 This spray contains witch hazel, aloe vera gel, and tea tree oil, along with rosemary, peppermint, lavender, and eucalyptus essential oils. It refreshes as it helps to deodorize your tired footsies. I popped mine in the fridge to spray on after work. Girl, Try it! 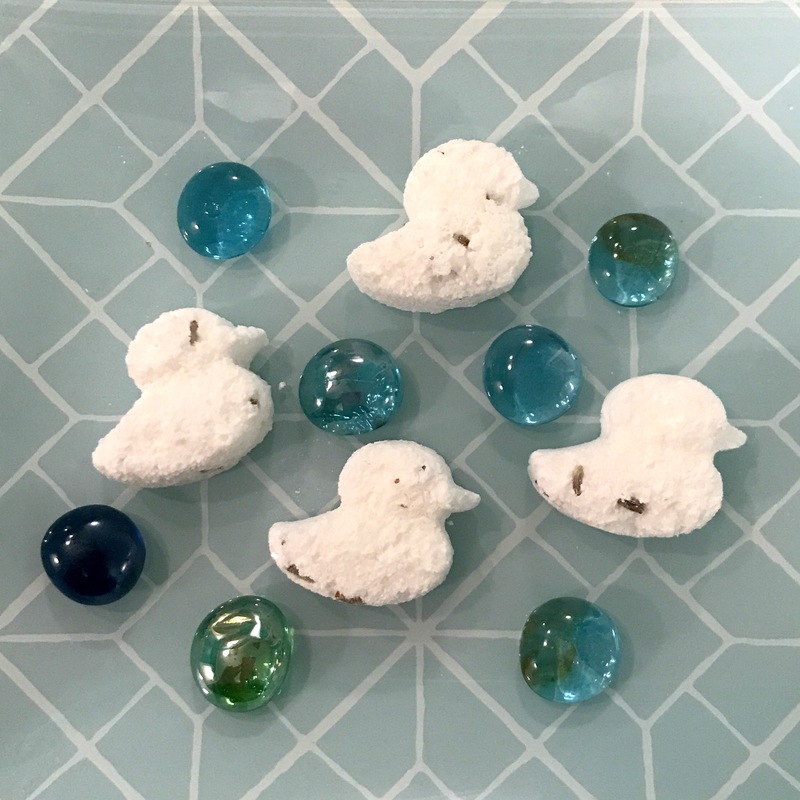 Duck-shaped Bath Bombs?! I mean, what’s not to like about these cute, fizzy little guys!? Drop 1 or 2 or 3 in the tub for a relaxing and detoxifying (due to Epsom salt) bath time. Try out Da Bomb Lavender Fizzy Bath Bombs (pack of 5)! Quack Quack! 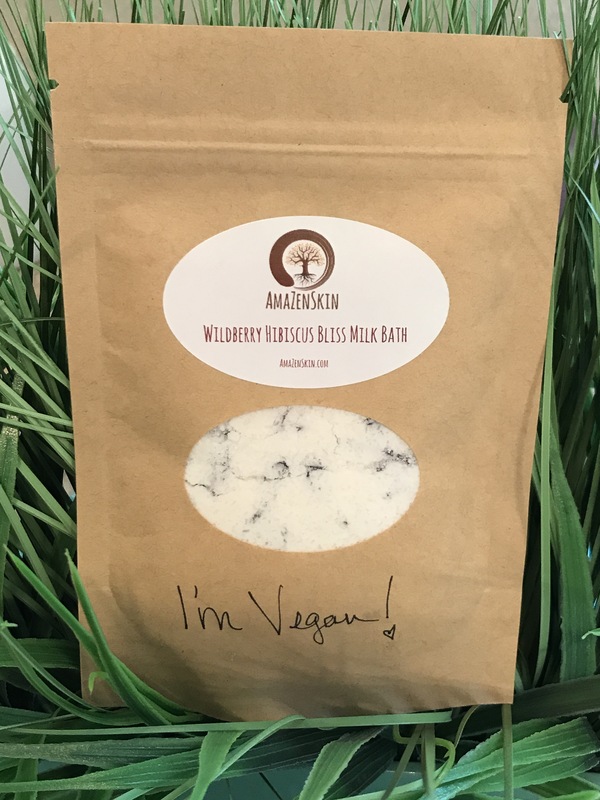 I have to admit, I am new to milk baths… especially since I use vegan and cruelty-free products! 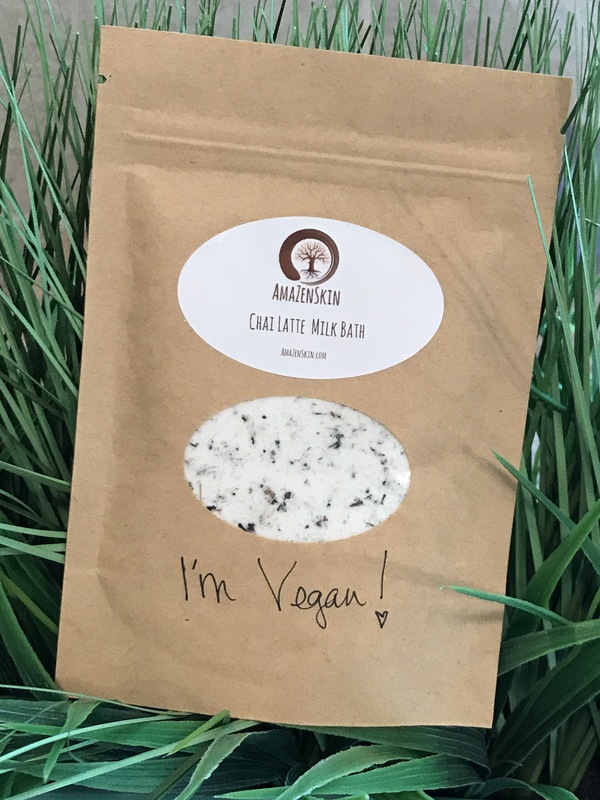 This Chai Latte Milk Bath is made with powdered coconut milk! How cool is that? Indian Black Tea, cinnamon, ginger, cardamom, cloves, and orange peel, along with vanilla and orange essential oils create a spicy, sweet, and floral fragrance that makes you feel like you are actually soaking in a luxurious bathtub full of Chai Tea! Ooh, La La! The Wildberry Hibiscus Bliss Milk Bath is also made with powdered coconut milk, along with hibiscus, black currant, rose hips, elderberry, and cranberry that combine to create a floral, fruity, and sweet fragrance that is truly a treat! It dissolves in warm bath water instantly and easily rinses from the tub after your bath time is over. 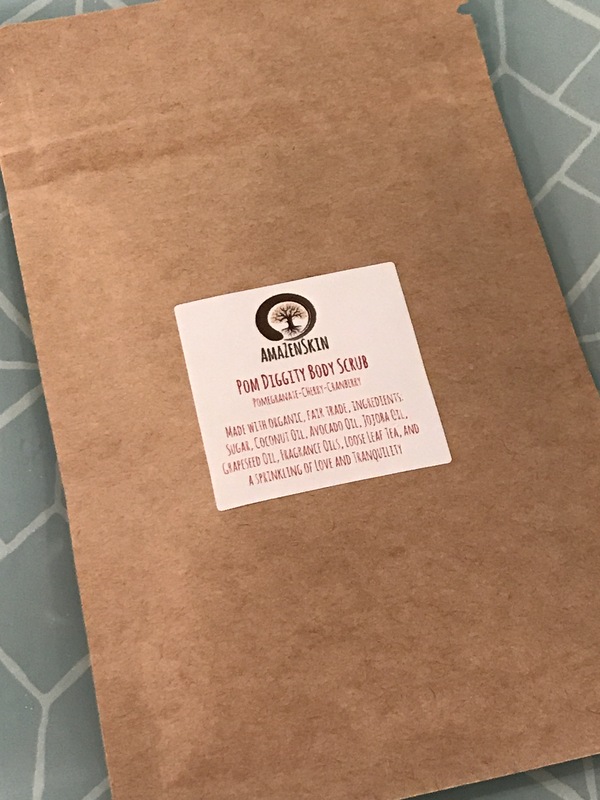 The Pom Diggity Body Scrub in Pomegranate, Cherry, and Cranberry is a very effective sugar based exfoliator that moisturizes with coconut, avocado, jojoba, and grapeseed oils. The scent is bright and fruity, and is definitely fun to use! This company creates handmade items that smell fantastic and get the job done. With no chemicals or nasty additives, these products are a healthy alternative to the junk on the market today. 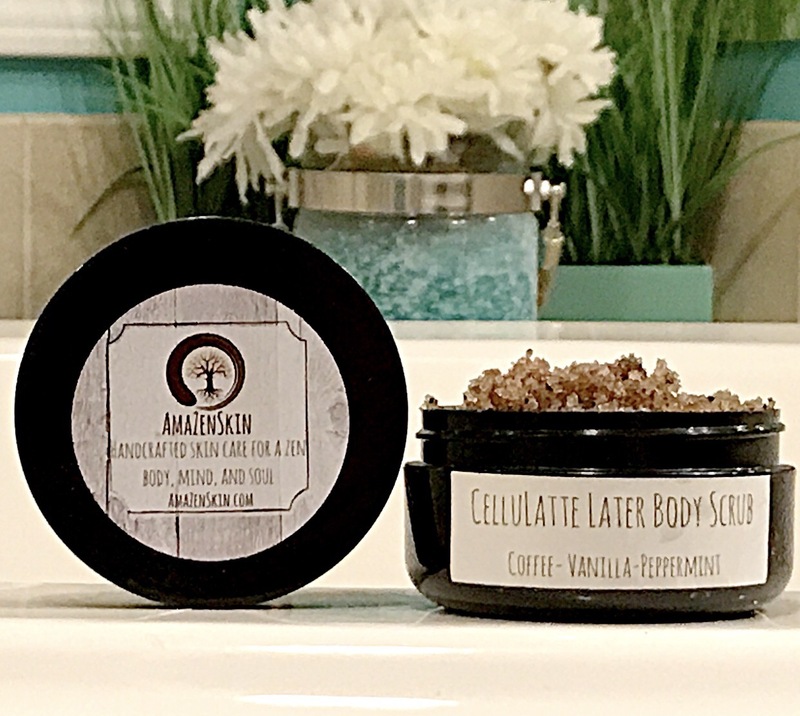 Treat yourself and give AmaZenSkin products a try! Let me know how you like them!